Rene was very professional and easy to work with. 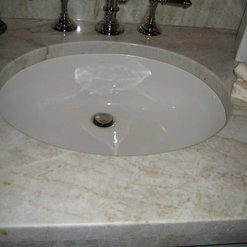 Everything went seamlessly, from picking out the quartzite to the installation. I would recommend him to all my friends. My home was one of 140,000 structures that flooded August 2016. I contacted Rene through Houzz and he responded the next day!! 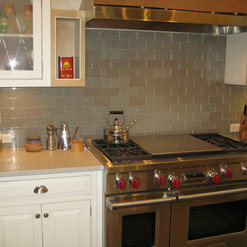 He came out the day my cabinets went in and my beautiful Quartz countertops were installed 3 weeks later!!! 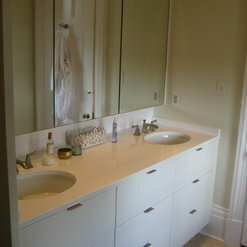 My kitchen and 2 bath vanities are more than beautiful and the service was fantastic!!! Thanks Rene and his crew for helping me and my family get back 'home'!!! LaBruyere Stone was referred to me by a business aquaintance. Rene was so easy to work with when choosing countertops for my kitchen remodel!!! He was quick to meet with me and the turnaround time was excellent on the install!!!! I highly recommend Rene and his team! Professionalism at it's finest! 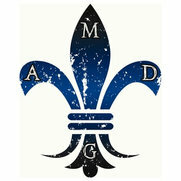 My husband and I are extremely pleased with the craftmanship and respectfulness of the owner and his employees. The installation was flawless and all the employees were a pleasure to work with. 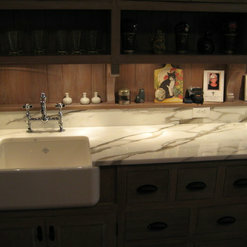 We love our kitchen and bath stones! Job well done! We highly recommend this company for all your stone needs! Rene was referred to us by our kitchen designer. We hit it off immediately and truly enjoyed the time spent looking and learning about the numerous stone choices. Rene always gave an honest opinion while educating us along the way. We decided on marble, and the results are spectacular! Rene was personally involved from beginning to end, and the installation was impeccable. So happy and would absolutely recommend LaBruyere Stone. This was my first time working with Rene LaBruyere and it was an excellent experience. He was referred to me by a friend and I am grateful for the referral. Rene was extremely professional.He was on time for all of our appointments. 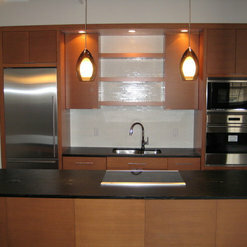 He was on schedule for manufacturing and installing four quartz kitchen counter tops and they look amazing. Thank you for a job well done! I wish all the people I worked with were as wonderful as Mr LaBruyere. I highly recommend this company for all you counter top needs. Rene & his team are a delight to work for and his patience and assistance with my questions and situation were impeccable. 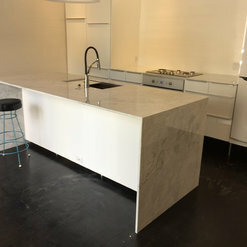 I absolutely love my quartz countertop for kitchen counters and my new wonderful counter-height island. As this was an insurance/damage situation there were many nuances and, since it was my first time re-designing a kitchen, many moving parts. The island is the star of my space! Thank you, Rene, for being such a pro. Rene was amazing to work with & made the process a labor of love. He spent a lot of time with us making sure we were picking out stone that would hold up in our family & be such a beautiful addition to our home. 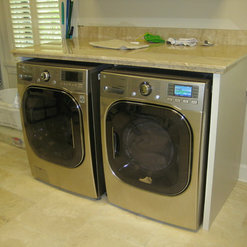 We were more than pleased with the professionalism & installation. We are beyond excited about how wonderful the countertops look. I would highly recommend his work! 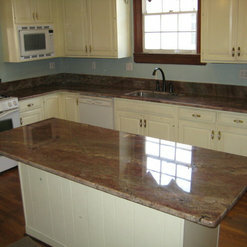 We replaced all our old countertops with granite. Rene and his crew did the work and I couldn't be happier with the results. 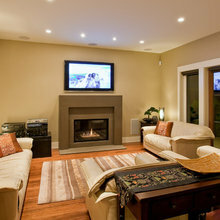 Communication throughout the project was excellent whether via phone, email, or text. He started and finished exactly when he promised and we were out of a kitchen for a minimal amount of time. The price was within the range that my research had shown. Very satisfied customer. Rene was one of the most professional people I have worked with in the remodel of either my home or my vacation property. 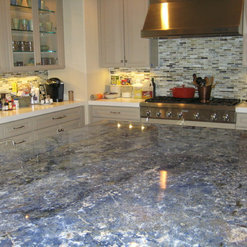 He came to us very highly recommended from a friend in New Orleans who had worked with him to do the stone in her kitchen. Our job (granite in a small kitchen) was a very small one and he treated us no differently than someone whose job was huge. 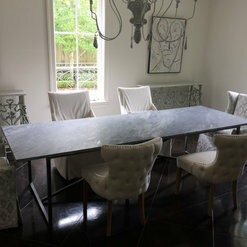 Seeing as how this was for our vacation home in New Orleans it was so nice to be able to trust him to deliver on a product that was bought sight unseen. Rene came through with flying colors. We could not be more pleased. I only wish I could have had him install the granite in my kitchen in Dallas. He would have done a MUCH better job. To recap, he arrived on time, knew exactly what I was looking for, had great recommendations, installed exactly what we wanted, exactly how we wanted it and charged the exact amount quoted up front. That's hard to beat. 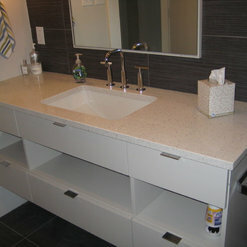 I recently purchased kitchen countertops (including an island), three bathroom vanities and one tub surround from LaBruyere Stone. Rene LaBruyere was very helpful in providing recommendations for which type of stone would work best for my lifestyle AND my budget. The gentlemen who did the installation were very no-nonsense and task oriented. The installation was done in record time! They also did a wonderful job of cleaning up after themselves when the job was complete. I highly recommend LaBruyere Stone. You won't be disappointed! Rene was so wonderful to work with! We looked at many places to find the perfect pieces for our kitchen, master bathroom, and guest bathroom. We enjoyed looking and learning about all of the different stones. Rene was very knowledgable, trustworthy, personable. I am truly obsessed with all of our countertops and couldn't be happier. 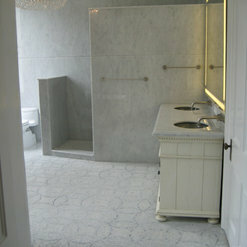 I would highly recommend LaBruyere Stone, and we will definitely use him again in the future! Thank you Rene! 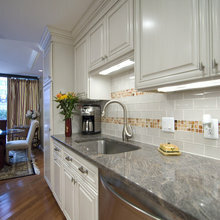 Commented: Marble tilesMy company did the countertops and not the tile backsplash. I recommend asking Stafford Tile in New Orleans.